Charming home in Graham. Great open floor plan featuring 3 bedrooms, 2 full baths, formal living room. Kitchen opens to dining area and family room. Newer carpeting throughout home; New Fujitsu ductless heat pump. Home is located in 55+ community. Buyers will love the outdoor spaces-private patio and new deck. Lot is fenced and features a storage shed and a "beach cabana." Lot Size: 0.15 Acres / 6713 Sq. Ft. Directions:Meridian to 196th St Ct E to home on left. SchoolsClick map icons below to view information for schools near 10405 196th St Ct E Graham, WA 98338. Graham Real Estate at 10405 196th St Ct E Graham, WA 98338. Description: The real estate listing at 10405 196th St Ct E Graham, WA 98338 with the MLS# 1409237 has been on the Graham market for 70 days. This property located in the Graham subdivision is currently listed for $239,000. 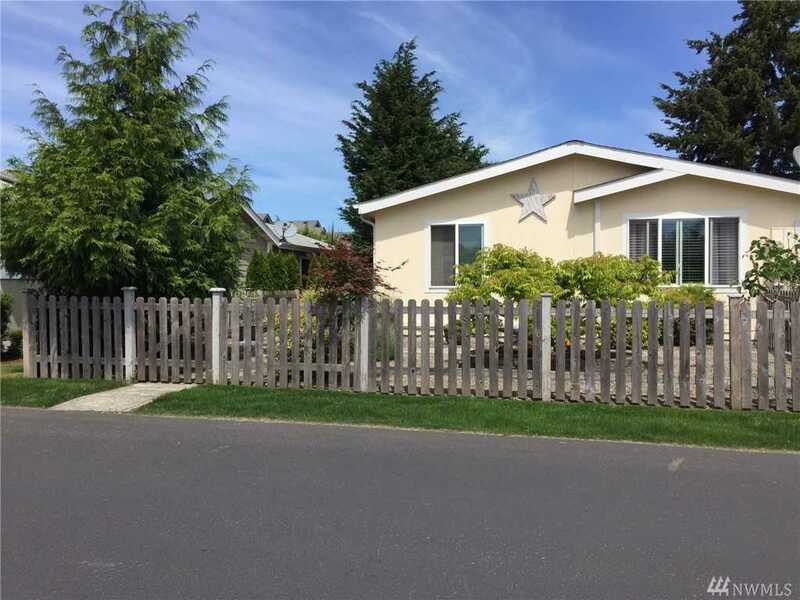 You are currently viewing the property details of the NWMLS listing at 10405 196th St Ct E Graham, WA 98338, which features 3 bedrooms and 2 bathrooms, and has approximately 1620 sq.ft. of living area.